I think we can all agree that aerial photography has never been easier. 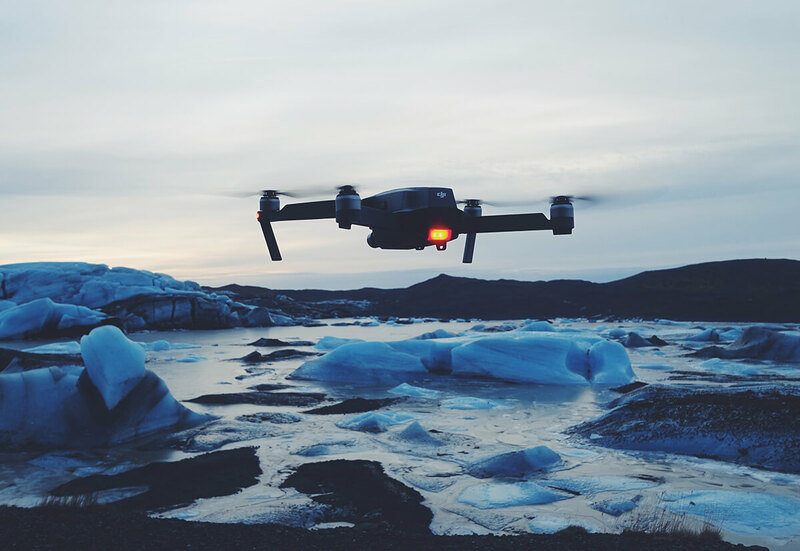 Drones with high-def cameras can be picked up for cheap, allowing you to explore a location like you’ve never seen it before. To me, it’s still quite unbelievable that drones allow us to see pictures such as this one. 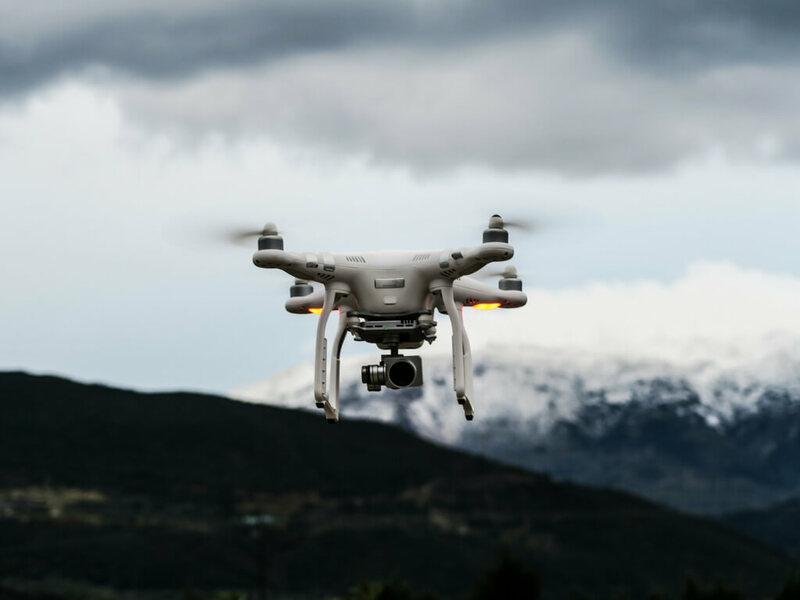 With the recent release of the Phantom 4 Pro, Mavic 2 Pro and Zoom and Inspire 2 and their huge market share, DJI have pretty much established themselves as the “Lord of the Drones” at this point. 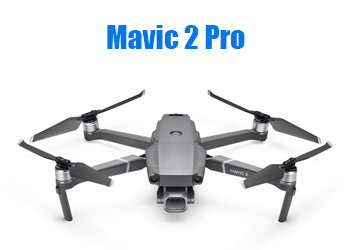 Those who are seeking the best portable drone with a camera would most probably choose the Mavic 2 Pro. Its foldable design, ease of use and top of the line specs are easily putting it at the #1 spot in this category. 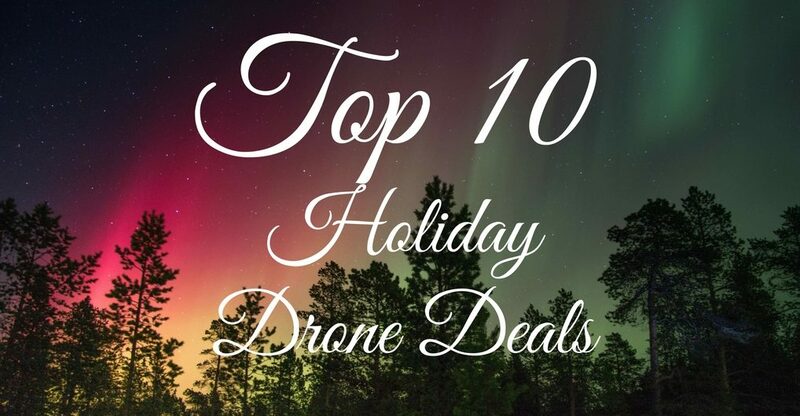 If you’re looking for the best drone with a camera which gives you the most for your money and is a top-notch choice for all kinds of aerial photography that you can earn money with (real estate photography or videography, shooting weddings etc.) 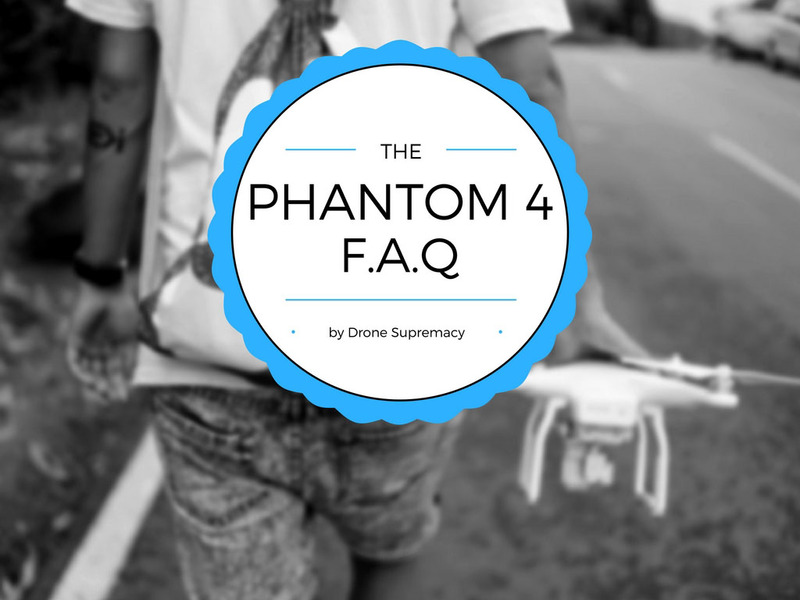 – the Phantom 4 Pro is an extremely solid choice. 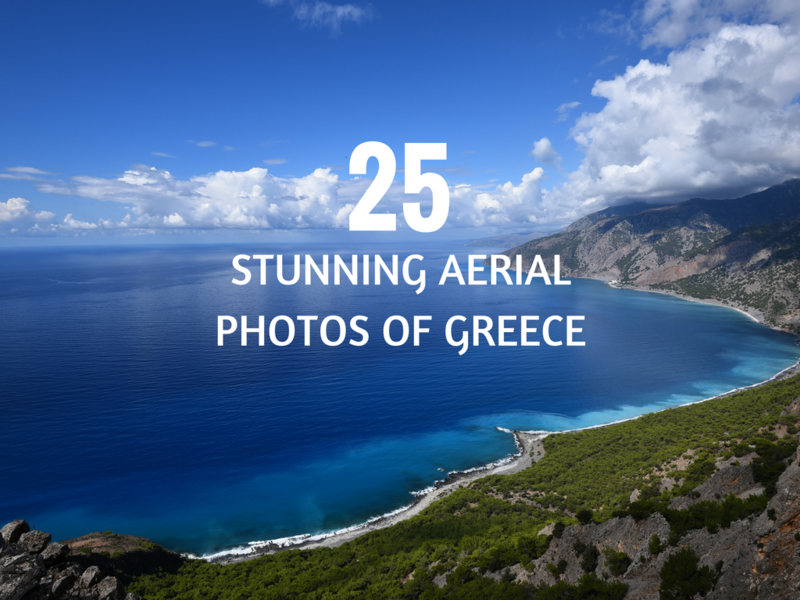 Anyway, if for whatever reason you’re not a fan of DJI, or you are just looking for other camera drones for sale – just keep reading, because there are some quality aircrafts for aerial photography from other brands that are definitely worth mentioning. FPV stands for First Person View. Simply put, FPV is the ability of the user to see from the visual perspective of the drone that he’s controlling. That’s possible thanks to the camera, mounted on the aircraft. There are a few different variants of flying with First Person View: the most common are with an integrated screen in the remote controller of the drone (such as the Typhoon H for example), with an additional device (smartphone or a tablet) mounted on the drone’s remote controller (like the Phantom 4 Pro), or with FPV Goggles, which are more immersive and are highly preferred among people who are into Drone Racing. The gimbal is a device that keeps the camera leveled by pivoting around it.The gimbal stabilizes motion in 3 axes: pitch, roll, and yaw. 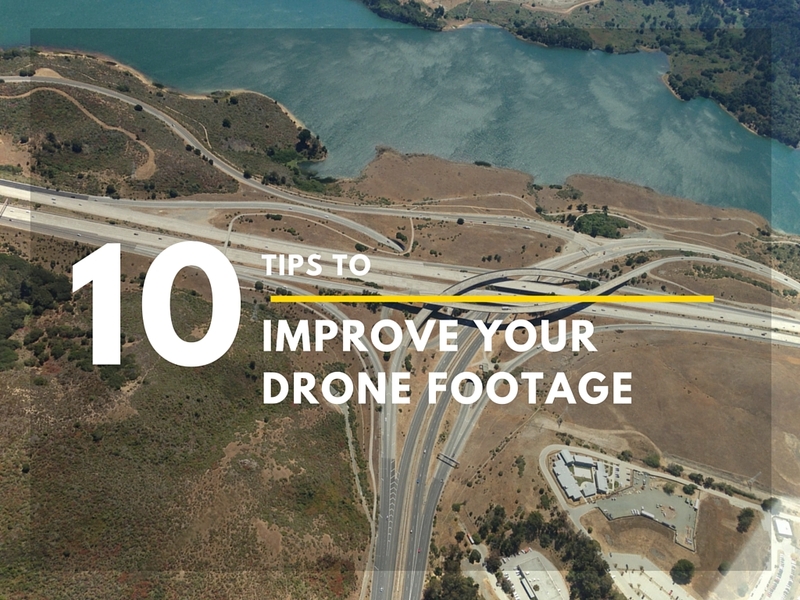 This helps maintaining a stable footage throughout your flight, no matter the drone’s direction and tilt. To best emphasize on the importance of a gimbal, here’s a video demonstrating how a footage looks with gimbal vs. without a gimbal. The narrower field of view of the Mavic means that any movements of the drone will be more noticeable, so bear that in mind. Often in the lower-range camera drones, quick movements will make the image from the camera wobble like jello, consequently images can become skewed with straight lines becoming distorted. This happens mostly with more inexepensive quadcopters with camera, so if your drone has a gimbal, this will rarely be the case. One of the most compact 4K drones from DJI family is called the Air. It’s the perfect mix between the small size of the Spark and the power of the Mavic Pro. The combination makes for a quite interesting final product – super portable, yet very powerful. 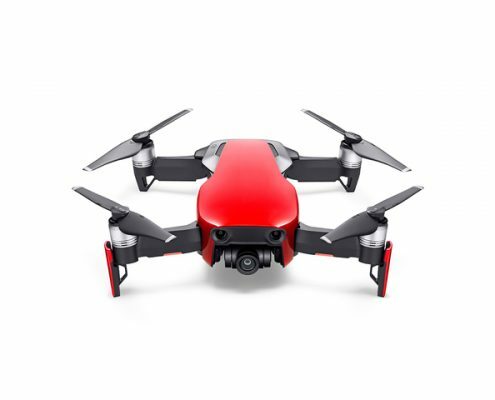 The foldable design of the Mavic Air makes it even more compact than the small DJI Spark, but it remains very much capable, having an improved design of the gimbal, better 4K camera with 100 Mbit/s bitrate and plenty of new features to keep you interested in flying a drone. 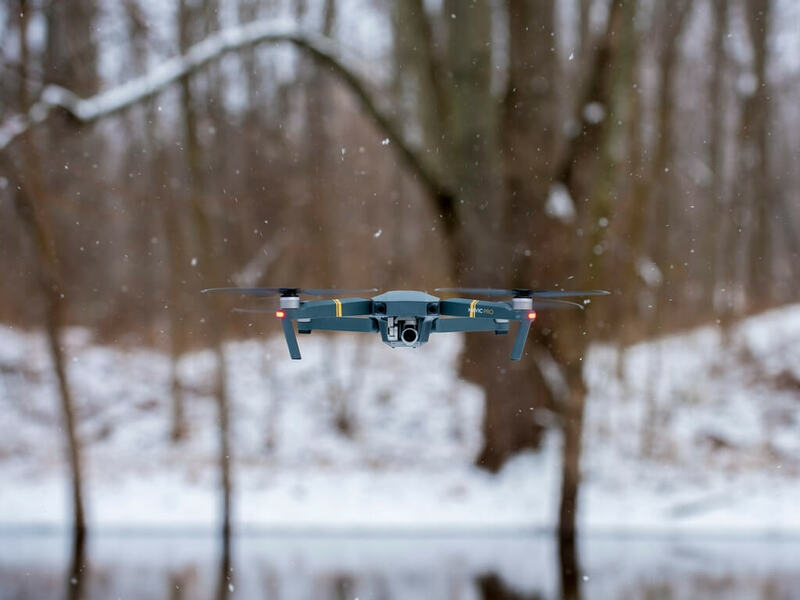 Although the Mavic Air uses WiFi transmission technology, it has been very much improved compared to the previous WiFi model – the Spark. Here, the flight distance is boosted up to 4km, with a total flight time of 21 minutes. One of DJI’s best-selling drones EVER shows that size is not everything. 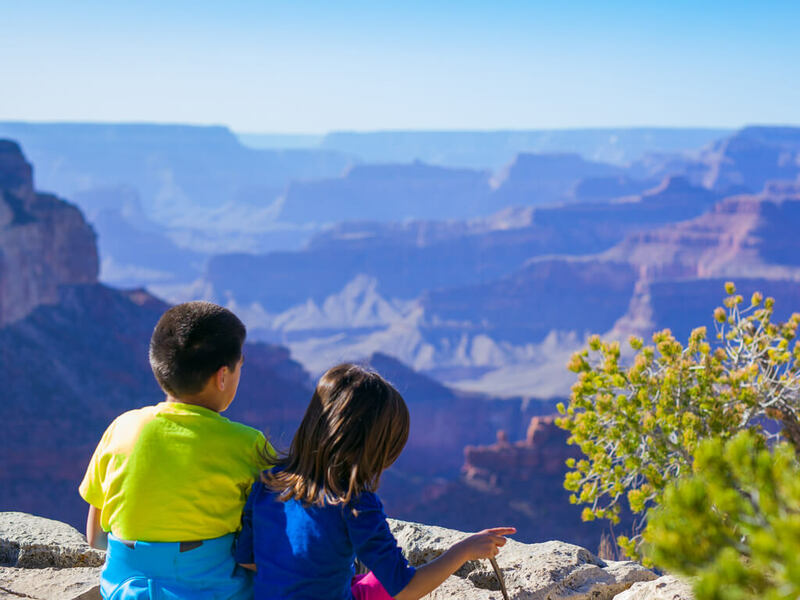 The biggest advantage of this drone is its super portability – the quadcopter literally fits into any backpack or bag, so you can carry it everywhere with you and not miss shots anymore. 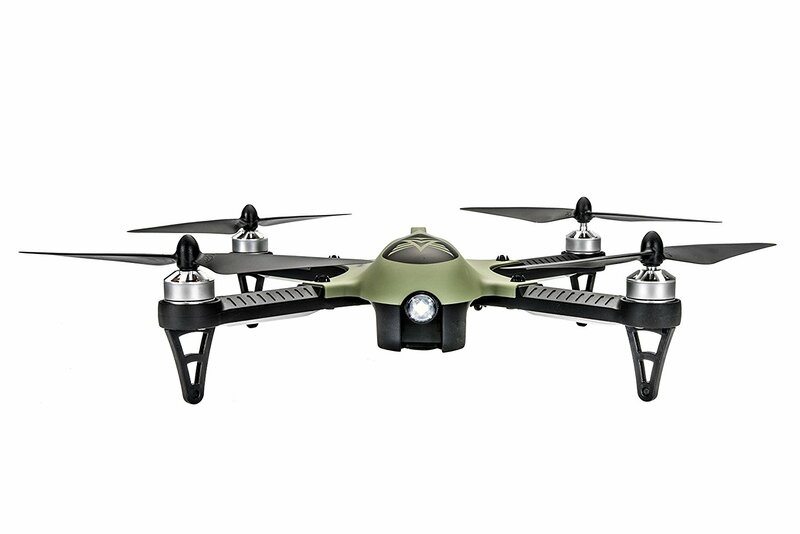 In addition, this quadcopter is packed with almost everything you might want from similar-sized drone – 12MP camera, folding arms, long flight range (up to 4.3 miles – 7km), obstacle avoidance system with 4 vision sensors (below and in front), gesture control, sport mode, smart modes and much more. 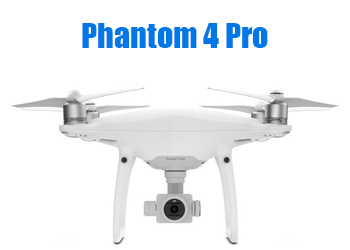 I personally take it as a minified version of the new Phantom 4 Pro, which is also upgraded with a few new features. The Mavic Pro certainly is a true camera drone, since you can unfold it and shoot in a matter of seconds. 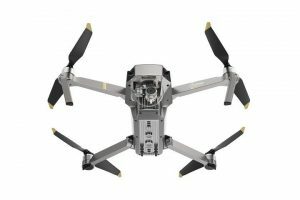 The Mavic Pro can be ordered from Amazon or the official DJI Store. 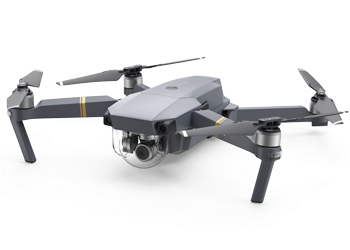 In addition, you can check out the newer version of the Mavic Pro called Mavic Pro Platinum. It’s $100 more expensive, but it offers some great improvements over its older brother – 30 minutes of total flight time, 60% less noise and a whole new design of the propellers. 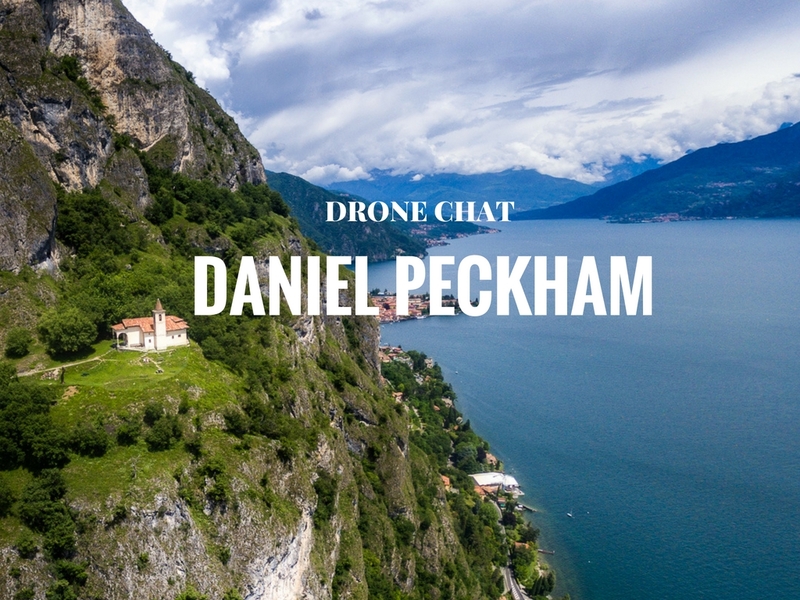 The Phantom 4 Pro is an excellent aircraft – I’d say one of the best drones with camera out there, and it comes with a few really good improvements over its predecessor (the Phantom 4). So, let’s talk about the camera of this drone: The new camera of the Phantom 4 Professional has a 20MP DNG Raw photo capabilities, F2.8 aperture, mechanical shutter which eliminates rolling shutter bending and large 1-inch sensor, which will lead to brighter and more detailed images than the ones from before. As far as the video capabilities, they have also been improved, as the video bitrate is higher (100 Mbps), and the dynamic range is wider. Plus, you’ll be now capable to shoot 4K videos in 60fps, allowing for extra buttery slo-mo shots. One of the most critical points of the Phantom 4 was that the obstacle avoidance sensors worked only when you fly upwards. 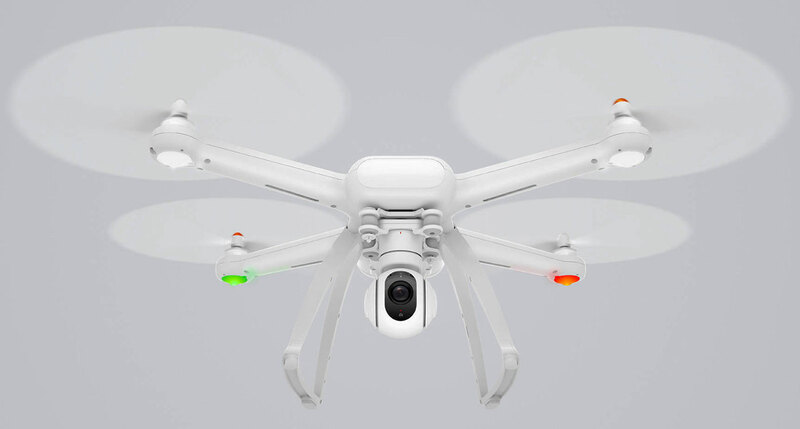 It seems that DJI has listened to all the complaints, as there are now 2 more obstacle avoidance sensors on the back of the drone, combined with new infrared obstacle sensors on the sides of the aircraft, which means that the Phantom 4 Pro has 5 directions of sensors (front, back, both sides and bottom), which makes it really hard to crash (don’t try to crash it intentionally though). 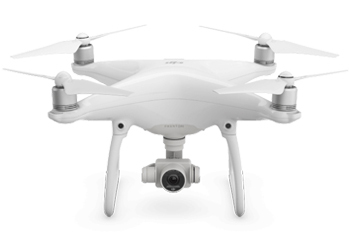 You can buy the Phantom 4 Pro on Amazon or from the official DJI website. 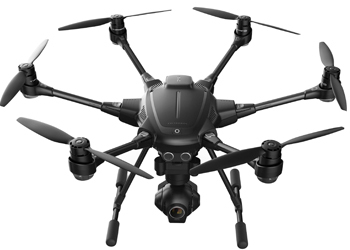 The Typhoon H from Yuneec is a remarkable hexacopter (meaning it has 6 rotors), although it still often stays in the shadow of the DJI drones. However, during its lifespan (this aircraft was released in Q2 of 2016), it has already established itself as a solid competitor. 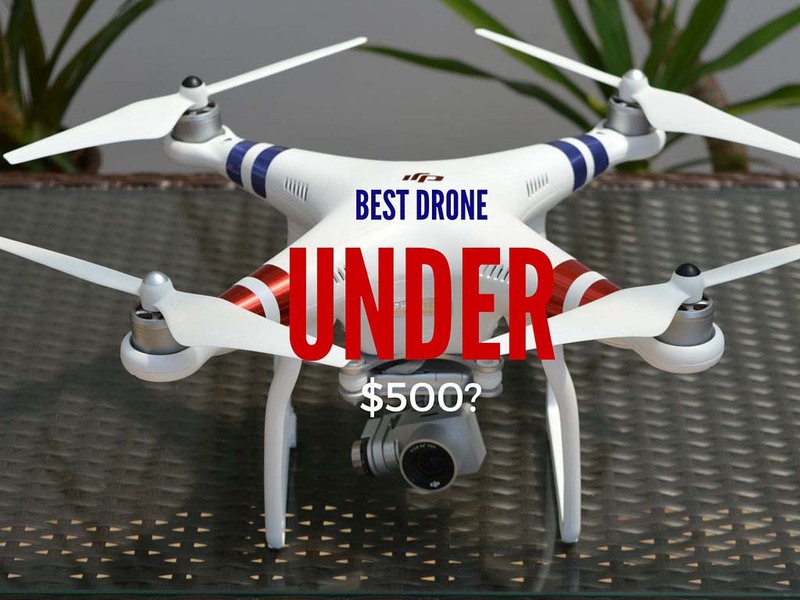 This drone is often compared to the Phantom series and when it comes to picking a winner between the two, it’s an extremely hard task. I’ve often had the question “Which one should I buy?” and honestly, I can’t really give you a straight answer. Just like Android vs. Apple, Windows vs. Mac etc., it all comes down to personal preference, although the Typhoon H is slightly more directed towards more advanced flyers, whereas the Phantom 4/Pro could be picked up and flown by anybody. Back on topic, the Typhoon H offers smart flying modes, a sonar front obstacle avoidance system, retractable landing gear which allows for 360-degree filming from its 4K camera and a “ST16” controller which has a built-in 7” touchscreen that displays live footage of your flight. What’s interesting about the controller is that it could be paired with a second controller, giving you the opportunity to use the one for flying the drone and the other one for controlling the camera. Definitely an advantage over the competition when it comes to taking more professional footage (i.e. for commercial use). The Disco is one of the latest creations of the french drone manufacturer Parrot. 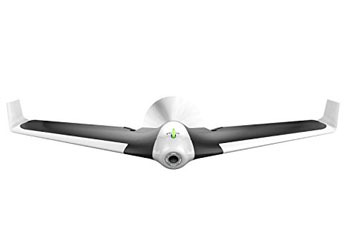 It’s a fixed-wing drone, that is super lightweight and aerodynamic. It’s very different from the regular quadcopters, and it’s definitely not for everyone. However, it’s a ton of fun to fly, as you get VR goggles for extra flight immersion. Flying the Parrot Disco surely makes you feel like a hawk, gliding over the ground. It has a 14MP camera, which interestingly enough is the same camera that is in the Bebop 2. You can squeeze out roughly 45-47 minutes of flight time from the Disco, which is considerably better than any other quadcopter on the market right now. When you throw the aircraft in the air like a frisbee (that’s how you start flying it), it climbs to a default altitude of 164 feet and goes to a circle pattern and stays there until you manually override it with commands from the SkyController. Then the drone records your footage on its 32Gb internal storage. 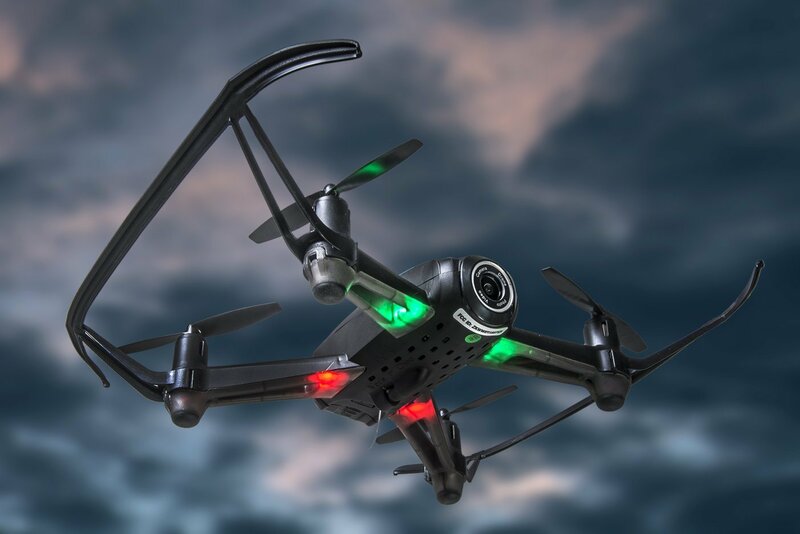 I should definitely mention that this drone is not your typical camera drone and you can’t really use if for stills, simply because it never stops moving (it always goes forward). However, if you are coasting the video quality is pretty smooth and stable. 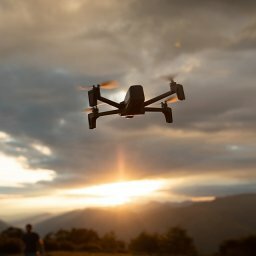 Surely, this is not a drone for everyone, but it’s an interesting option for more experienced drone flyers who are looking to expand their arsenal. The following video illustrates what is like to fly the Parrot Disco. 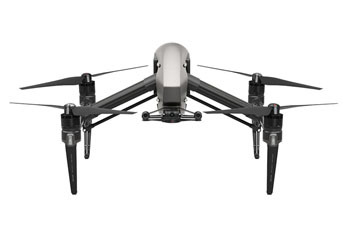 The Inspire 2 is the latest and greatest addition in the DJI fleet. It’s known to be one of the best aircrafts for shooting movies and commercials, as it provides extremely high quality footage. 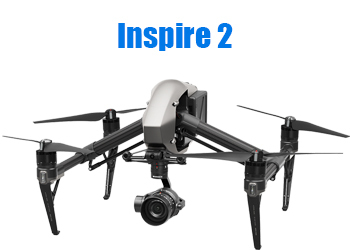 One of the first upgrades over the previous model is that the Inspire 2 now has two different cameras – the first is mounted under the aircraft and provides full 360° camera rotation, and the other is placed on the front of the Inspire for providing better FPV visibility. This aircraft is made so it can be used by two people simultaneously – one can be the pilot and fly it (relying on the FPV camera on the front), and the other person can be the cinematographer, controlling the camera. 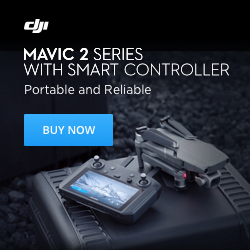 For more information check out DJI’s Official website. Also, see this awesome drone film which perfectly illustrates the drone’s capabilities. It’s safe to say that camera drones are here to stay. From this point, they will only get better and better, and I’m sure we can all expect some great drones with camera in 2019. That being said, keep an eye on this article, as I plan to continuously update it as we go. I hope you found this post interesting. If you did, please do me a huge favour and share it with your friends on social media! So which camera drone is your favourite? Let me know in the comments below, I’m always up for a chat! What about new xiaomi fimi x8? 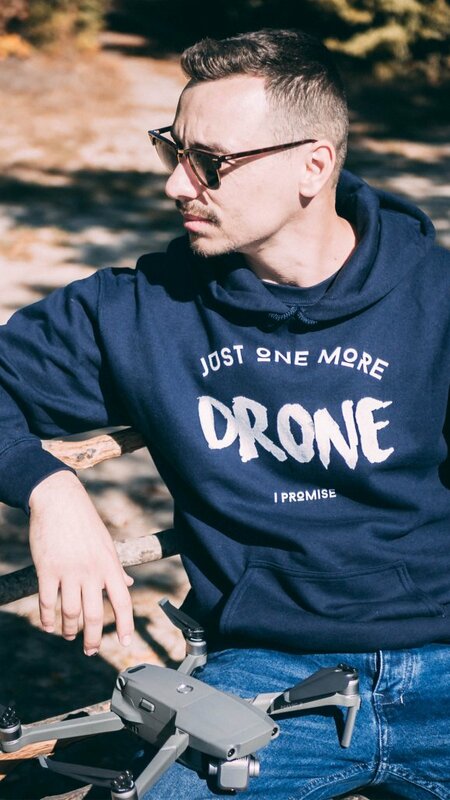 A decent drone i would say.